As we go into 2018 I have promised myself to continue to experiment with makeup and build up my confidence with doing things a little more outside of my comfort zone, and to make a little more effort on a daily basis. I thought i’d kick of by sharing one makeup palette that i’ve been loving over the past few weeks, and why you should pick it up! If you’re an eyeshadow palette hoarder like myself, then you’re going to need to add this to your collection! 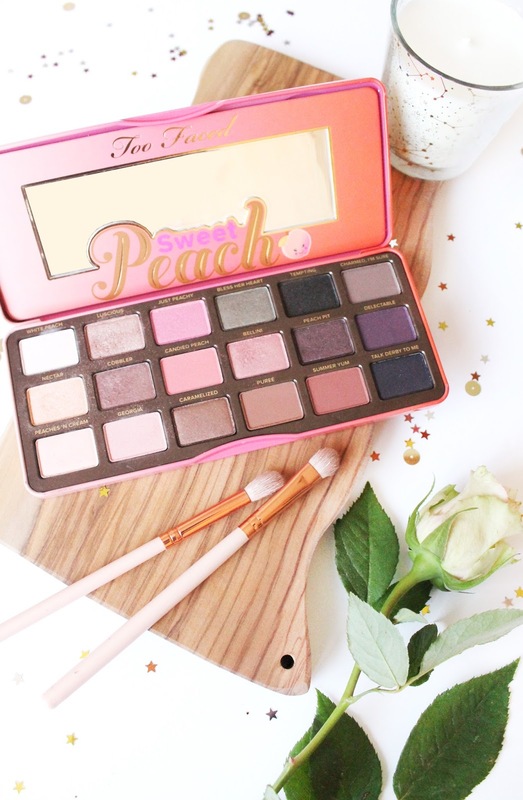 If you saw my A Few Christmas Day Gifts post, then i’m sure you’ll of seen that I was very kindly gifted the Too Faced Sweet Peach Eyeshadow Palette (£39) and this is actually the first every product i’ve owned or tried from Too Faced, after wanting to try their products out for ages, especially when they first dropped their Sweet Peach collection. 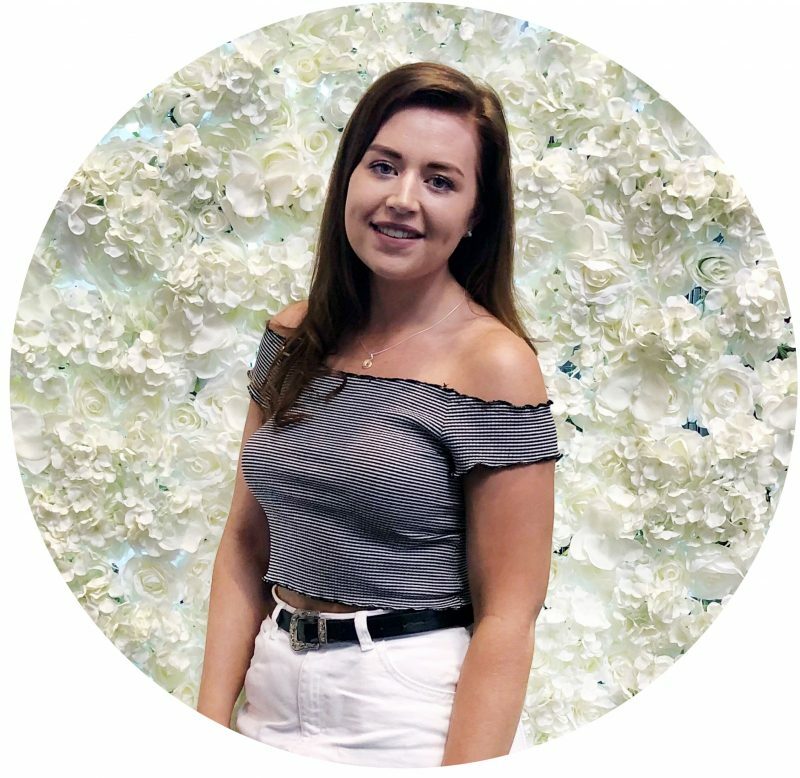 The palette itself holds 18 different shades with a mixture of matte and shimmer shades, with a variety of colourations from nudes, browns, pinks, purples and an almost khaki green, all of which provide a good range of different eye looks to play around with. Since receiving this palette I think i’ve used it pretty much everyday that i’ve worn makeup and I relied on it whilst I was battling flu last week to make me look a little more alive than I really was. For more subtle eye days i’ve been wearing the shade ‘Peaches & Cream’ as a base shade and then used both ‘Cobbler’ and ‘Georgia’ in the crease and outer corner, and just those three shades alone work really well together! For more put together eye looks i’ve been using a fair amount of the shades within this palette, as I don’t own a palette with pinks as strong as this one and I find they just make my eyes pop that little more! I essentially use the first row of shades (going down, not across) to create a good base, and then mix the next two rows for my crease and then blending out to my outer corners. I then usually go back in with the shade ‘Peaches & Cream’ for an under brow highlight and to blend it all together seamlessly. The shadows themselves are really easy to work with and find them ever so slightly creamy, and there is very little fall out from them, which is a big thing for me as I hate when an eyeshadow goes everywhere but your eyelid! I’m excited to continue to experiment with this palette, as I haven’t really delved much into the more purple tones but in time I will, and if I pluck up the courage i’ll maybe start sharing more makeup looks on the blog (when i’ve figured out lighting). 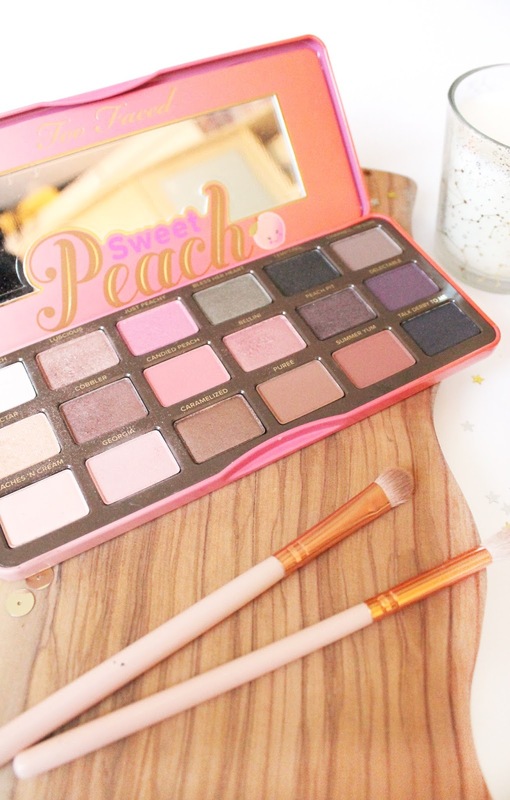 Oh, and the best part of this palette is the fact it smells like peaches! Is there anything better? Have you tried out this palette? Or any others from TooFaced?